The firmware running on ControLeo2 can be updated over USB. The firmware is open-source, and can be found on GitHub. When updating, the user settings and the learning mode parameters are retained. You can use either a Mac, Linux or Windows PC to do the update. The firmware version running on ControLeo2 is shown for 3 seconds when it is turned on. You can find the latest version (and the change log) by looking at GitHub. You can find lots of help on the updating process by doing an Internet search for "Arduino Leonardo". You can find more information on the Arduino Leonardo (which is what ControLeo2 is based on) here. 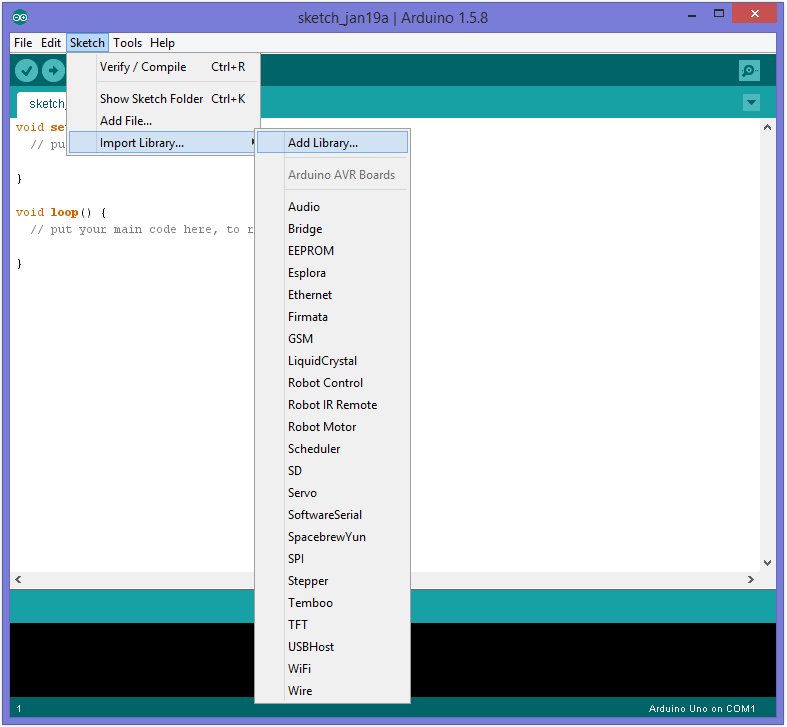 Download and install the Arduino Integrated Development Environment (IDE) from the Arduino web site. 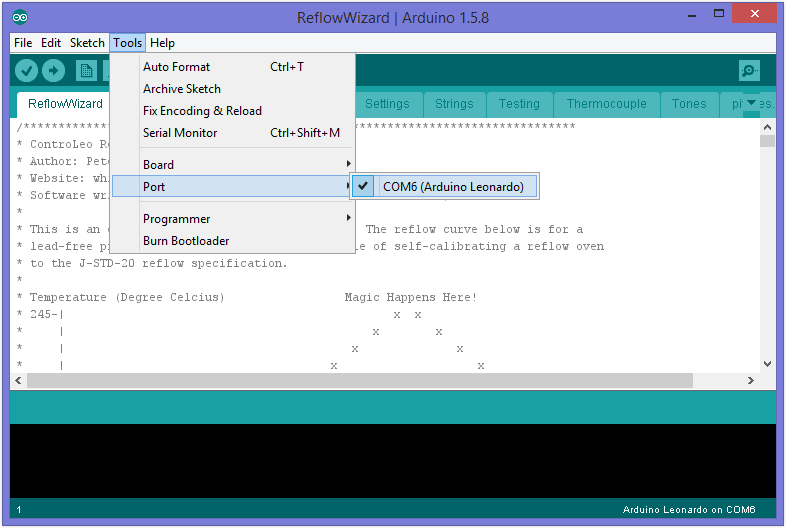 Any version of the Arduino software will work, but version 1.5.8 or later is recommended. 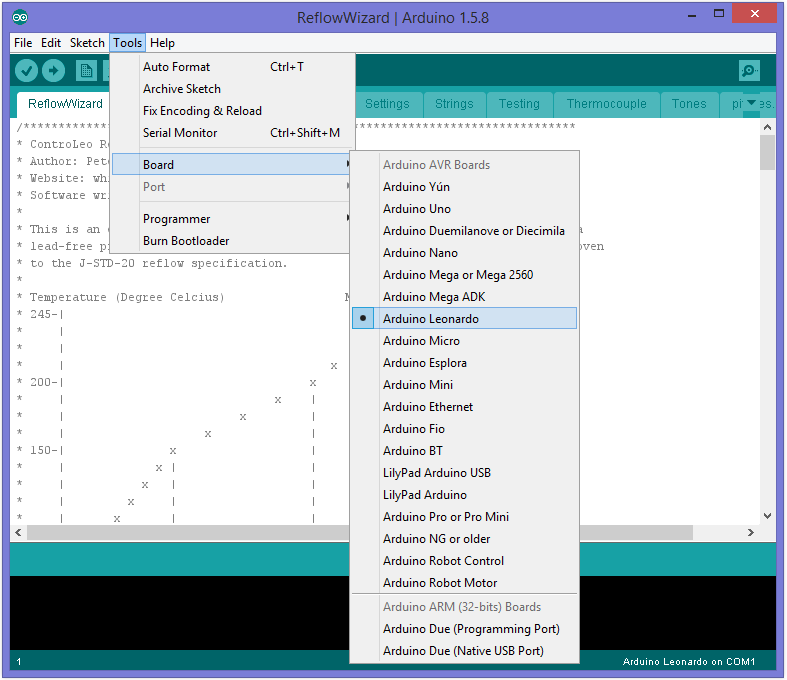 Download the ControLeo2 library from GitHub by clicking here. Unzip it and save it to your hard drive. 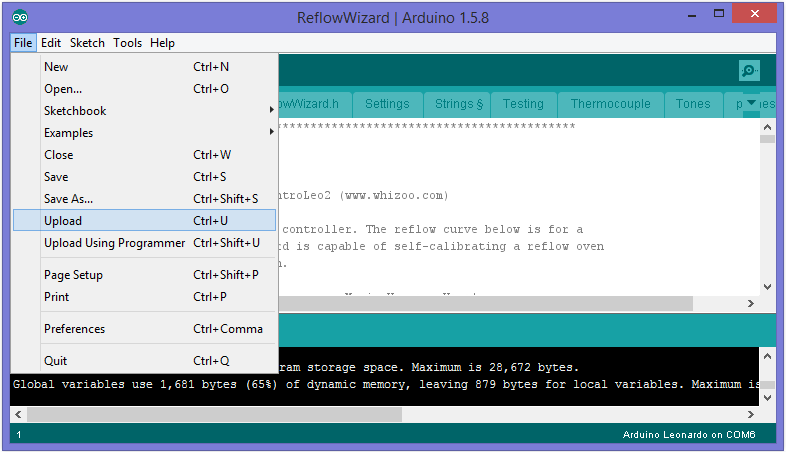 Launch Arduino and install the library. Change the board type to "Arduino Leonardo". Connect ControLeo2 to your computer using a micro-USB cable. ControLeo2 should appear as a serial port to the computer. 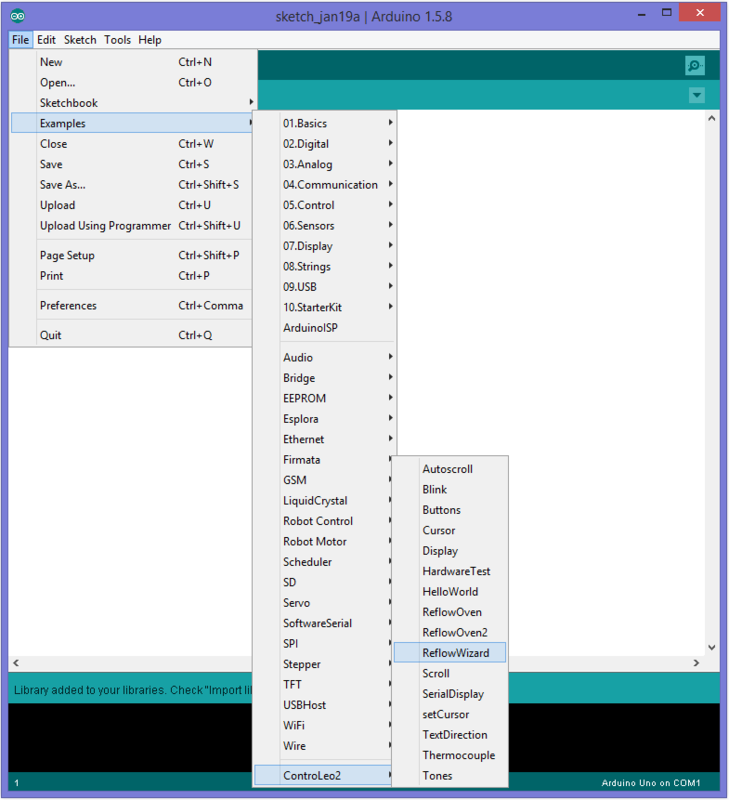 Select the serial port that corresponds to ControLeo2. Upload the firmware to ControLeo2. This process takes around 10 seconds to complete, and you'll hear electronic sounds coming from the buzzer. All settings (user settings and learned parameters) will be retained.